This ultra-fashionable and stylish Luxury Solid Womens Genuine Leather Shoulder Bag made from top layer cowhide leather and high-quality light gold hardware looks fantastic with any outfit. 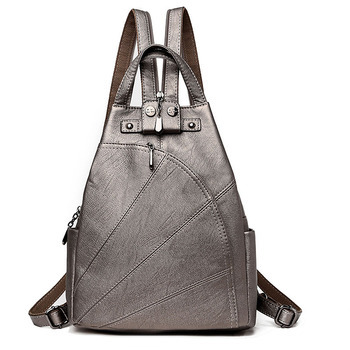 The bag comes with a metal magnetic buckle closure for extra security. The internal structure is one main compartment and one removable pouch made of durable fabric lining. The bucket bag, made by professional artisans is designed to allow you to comfortably carry all your daily essentials. Excellent quality. Fast shipping. Recommend to buy. The product is as the description and the photo. I am happy. Excellent bag, leather. I do recommend! The bag came in two weeks. The quality is very good. I recommend it. Very satisfied with the purchase. Straight stitching. small but roomy. Delivered within 12 days. Thank you. I recommend the store. Very lovely small handbag, check the measurements. Gorgeous colors, thank you! Beautiful bag!!! Real leather. Very fast shipping. To the store, thank you so much! I recommend!!! Wonderful handbag! I am very satisfied. High-quality packing. Fully compliant with bag pictures and description even the shade colormatches, in my opinion.-genuine leather. excellent bag! leather! good quality! cool bag, was well packed, мятая not came, matches the description. Very good quality. The picture shows the real bag. Love the bag.